While Singapore has always attracted high net worth individuals (“HNWI”) and their families from within the region, the mobile international rich and ultra-HNWI are also relocating their businesses and families here and buying into exclusive residential enclaves. Among these recent moves are Facebook co-founder Eduardo Saverin, who recently renounced his United States nationality and former New Zealander billionaire Richard Chandler who has based his private investment group here. Other prominent personalities drawn here include Zhong Sheng Jian, the China-born founder of Yanlord Land, Indian telecom magnate BK Modi and Australians Gina Rinehart, the largest shareholder in Fairfax Media, and Nathan Tinkler of Whitehaven Coal. The business and financial media attribute this to Singapore’s relatively low personal tax rate, varied lifestyle and entertainment options, connectedness to the rest of Asia, sound educational system as well as the city-state’s financial infrastructure, banking secrecy laws and concentration of private banks. 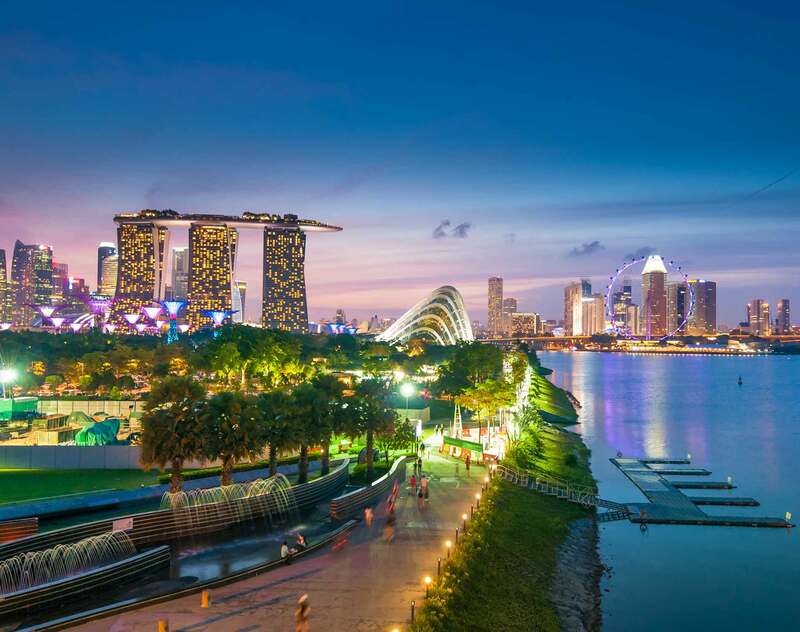 To enhance Singapore’s attractiveness to those HNWI with an intent to settle in Singapore, the government recently reviewed and streamlined the schemes available for fast-tracking permanent residency applications by the wealthy foreigners. In that regard, the government revised the thresholds for the Global Investor Programme (“GIP”), a scheme administered by Contact Singapore (an alliance between the Singapore Economic Development Board and Ministry of Manpower). The GIP allows HNWI to set up, invest and/or operate businesses in Singapore. The GIP offers Permanent Resident (“PR”) status to these HNWI to re-locate to Singapore or at least move part of the business to the island and in the process allow greater capital injection into the Singapore economy. Government statistics record that, by 2010, entrepreneurs applying for PR status through the GIP had invested S$1.5 billion in Singapore resulting in the creation of 1,500 jobs. Net personal assets of S$20 million and at least S$10 million of assets parked in Singapore for five years to apply for PR status, under the now discontinued Financial Investor Scheme Only the GIP scheme is available now. HNWI who obtains the PR will be issued a re-entry permit (“REP”) that is valid for five years. This enables him to retain his PR status while away from Singapore. After those five years, the HNWI can qualify for a three-year renewal of his REP if he invests that S$2.5 million, and either sets up a business here with five or more Singaporean employees and incurs at least S$1 million in total business spending a year, or has both he and his dependants residing here for more than half of the time. The HNWI’s application under the GIP must be accompanied with a non-refundable application fee of S$5,650. The government of this city state understands it is crucial to attract economically valuable foreign talent who are entrepreneurial and have a long term vision for business in Singapore, and who are also keen to make Singapore their home. It will therefore be expected that the HNWI would look at the reformed GIP programme with interest.